Recto: a sheet of puzzle writing, chiefly in the form of pictographs; the majority of the pictographs are made up of animals and plants. 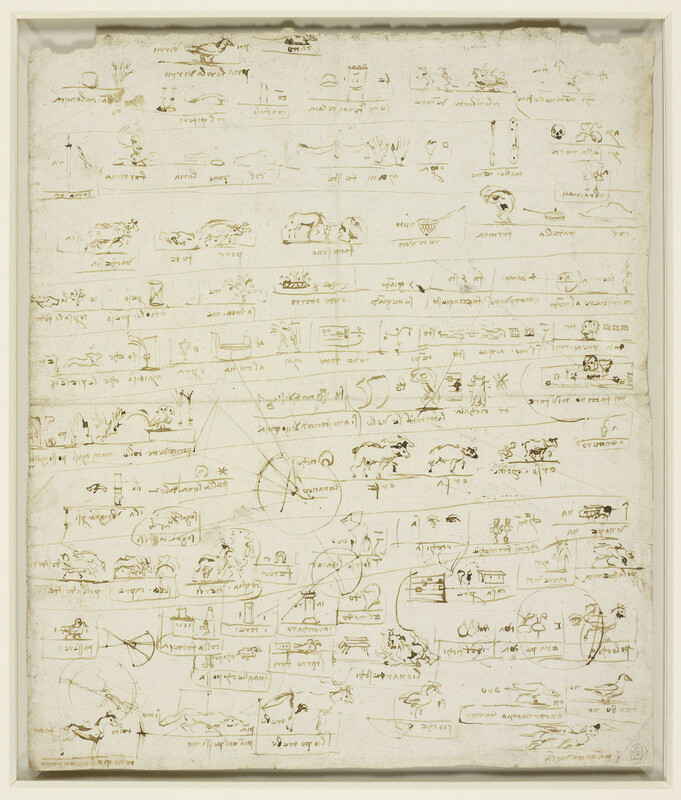 Verso: pictographs drawn over an architectural plan, possibly a project to remodel the Corte Vecchia (‘Old Court’) to the south of the Duomo in Milan, where Leonardo had his lodgings and workshop. Melzi's 47.